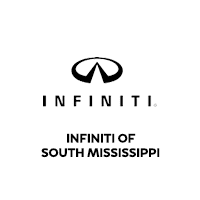 INFINITI of South Mississippi is a trusted provider of new INFINITI’s and pre-owned vehicles. Our large staff is both knowledgeable and dedicated to caring for each customer. As the area’s only INFINITI dealer, we sell luxury models at great prices. Whether you are interested in a car or a full-sized SUV, we likely have a model that fits your needs. Mississippi area residents can easily take advantage of our great service because we offer convenient hours, especially on the weekends. At INFINITI of South Mississippi we strive to provide outstanding sales, service, and customer satisfaction. We are dedicated to our customers and their experience at our dealership. A visit to INFINITI of South Mississippi always includes complimentary refreshments, such as fresh pastries, gourmet coffee, soft drinks, and much more. Our selection of gourmet Starbucks coffee will satisfy even the pickiest connoisseurs. Our personalized service is unmatched, and it’s what sets us apart from other dealerships around Mississippi. For the best in luxury cars, D’Iberville-based INFINITI of South Mississippi provides all of the exciting and stylish options you want. Our interactive inventory tour can help you decide which vehicle is right for you. We are conveniently located so that drivers across southern Mississippi have access to our extensive inventory of new and pre-owned luxury vehicles. If you have any questions or would like to schedule a test drive, don’t hesitate to contact our friendly team.